Please Click below, or on the video thumbnail, for video references of successfully brokered sales of Denver business. 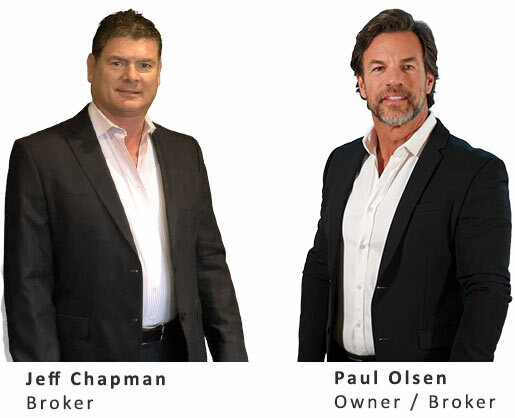 Company Broker Group is the leading business brokerage and middle-market M&A advisory firm in Colorado. We help Colorado business owners sell their company for the money with the best terms. Your business is the biggest investment of your life. When it comes time for you to sell it, don't take a chance on not getting fair return on your life's work. Selling your Denver business can be complicated, and in today's tough economic times, can be outright risky. If you are not fully armed with accurate information, an experienced Denver business broker and a full array of the most effective marketing tools available, you are risking the full reward of years of toil and dedication. The value of selecting an experienced Denver Business Broker to sell your Denver business is evident. The value of selecting a Denver Business broker to buy a Denver business is obvious, especially if you will be newly entering the Denver business scene. No one would dispute, if you want to go fly-fishing in the Rocky Mountains, you get a native guide who knows the area like the back of his hand. But surprisingly enough, some of the same business owners that hire fishing guides to ensure the success of a fishing trip, risk it all, and go it alone, when selling their businesses. Watch out for the bears! Business owners who are considering selling their company have often neglected the incredible potential of their business over the past 3-4 years. It is common that the owner is NOT doing all they can to grow the company from a standpoint of aggressive sales and marketing efforts. They are often burned out and are no longer passionate about growing the company like they did during the first 10 years, or when they were younger. The ultimate maximum sales price and highest value for your business will be largely based upon your broker's ability to locate that one buyer who sees the potential "gold" in your business. I have always said, "there are two values for every business". The first value is based upon traditional business valuation methods, which are typically and simply, a multiple of cash flow. Buyers of course love paying this value for a business because it often results in a low ball offer. Through effective "positioning and marketing or the business" we can typically get a much higher value for your business because we can get a buyer excited about the upside growth and potential of the business, with a buyer who has the passion, vision, and financial resources to grow the business quickly going forward. A buyer who clearly sees the incredible upside growth and potential of your business will often pay substantially more for your business than a buyer who simply wants to pay 3-4 times the trailing-three-years cash flow of the business. We have excellent and proprietary methods of getting buyers excited about not only what your business has BEEN for the last 3 or 4 years, but rather what the business can BE over the NEXT 3 to 5 years, with the right buyer taking it forward. This type of buyer who sees the upside potential, will almost always pay a substantially higher sales price (premium). We are experts at creating an exit plan to help you locate this kind of buyer and have them see the "gold" in your business. We do all this through extensive video coverage of all the “up-side” potential of the company. You probably know the value of your home. In fact you probably know the value of your checking account, or your IRA. But do YOU know the value of your most valuable assets is, if you're a business owner? More importantly - how do you maximize the value of your business if you're planning on selling it in the near future, or perhaps 4 to 5 years from now? Over the years our professionals have worked closely with Denver business owners to value their closely-held businesses, and worked with them over time to dramatically increase the value of the business in the years prior to selling. We don't charge for this service and we would very much appreciate opportunity to work with you today to help you learn more about your business. We can advise you on how to maximize the value of your business. When the day comes that you do want to sell, you can look back and complement yourself on your forward vision. You want as much money as possible and as much money as possible paid at closing. You want a solid buyer, who is creditworthy and has a strong net worth to grow the business going forward. You want a buyer that you can trust and who will build a good chemistry and dealings with your customers, suppliers, and employees. When the time comes to sell, you'll want your business sold "quickly and quietly". Confidentiality is paramount when selling a business. You never want your customers, suppliers or vendors, and employees to know that you're selling your business until well-after the closing. For many years now we have been involved in hundreds of business transactions, without a confidentiality breach. We have a unique and proprietary method of privately and quietly presenting businesses for sale through the use of videos, which almost always prevents any chance of a confidentiality breach. In addition, we utilize video, instead of holding 10 or 20, or even 30 "showings" or "Dog and pony shows" of your business. You just do site walk-throughs and interview via video, when no one is around. Let our company do the rest! In the end, video and other advanced methods we use allow us to sell your business for substantially more money and better terms. We do this far quicker than other brokers who typically have to conduct literally two or three dozen showings.